An ‘incident’ is a suspicious change in the state of the routing system that can be attributed to an outage or a routing attack, like a route leak or hijack (either intentional or due to a configuration mistake). [i] Let’s look at just a few examples of incidents picked up by the media. March 2017. 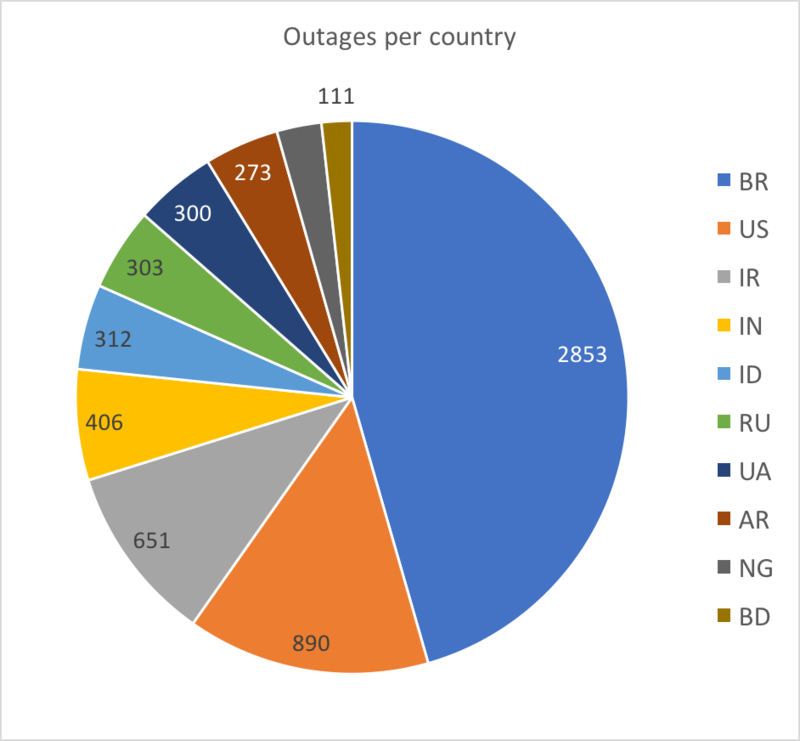 SECW Telecom in Brazil hijacked prefixes of Cloudflare, Google, and BancoBrazil causing some outage for these services in the region. April 2017. Large chunks of network traffic belonging to MasterCard, Visa, and more than two dozen other financial services companies were briefly routed through a Russian telecom. 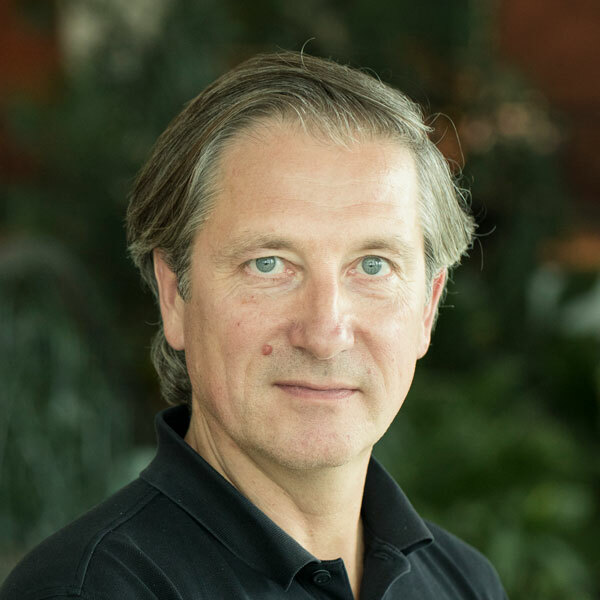 For several minutes, Rostelecom was originating 50 prefixes for numerous other Autonomous Systems, hijacking their traffic. August 2017. 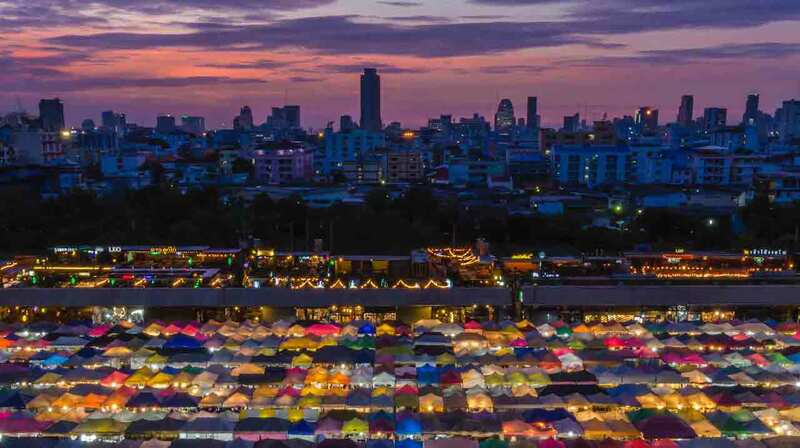 Google accidentally leaked BGP prefixes it learned from peering relationships, essentially becoming a transit provider instead of simply exchanging traffic between two networks and their customers, causing large-scale internet disruption. It hit Japanese users the hardest, slowing or blocking access to websites and online services for dozens of Japanese companies. October 2017. Another BGP mishap caused reachability and performance problems for networks such as Twitter, Google, and others. For almost 20 minutes, traffic for many large CDNs was rerouted through Brazil, caused by a BGP leak. November 2017. 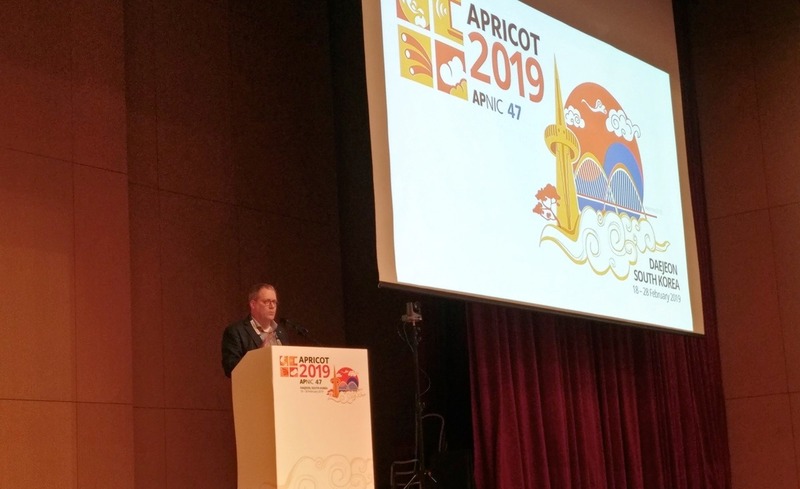 Level3 BGP routing issues caused large scale network service degradation in North America for slightly more than 90 minutes. Another route leak. December 2017. Several high-profile sites (Google, Apple, Facebook, Microsoft, Twitch, NTT Communications and Riot Games) were rerouted to a previously unused Russian AS. Two BGP routing incidents only lasted about three minutes each. Not a single day passed without an incident. 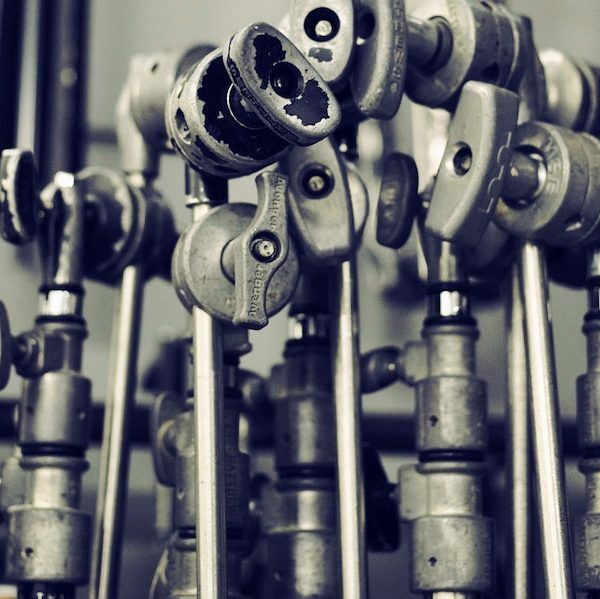 While none of the incidents was catastrophic, all of them continue to demonstrate the lack of routing controls like those called for in MANRS that could have prevented them from happening. This is just a small fraction of what happened in the routing system in 2017. Rather than measure routing security by anecdotal evidence, let’s look at the data. 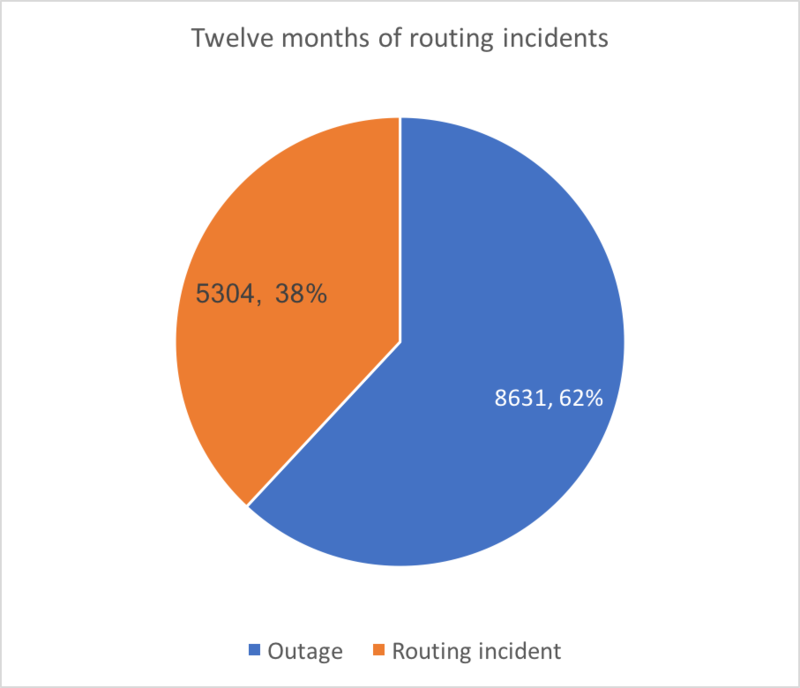 Of the 13,935 total incidents, 62% were classified as outages and 38% were considered routing attacks like route leaks and hijacks. Let us look to incidents that represent a potential attack, be it malice or a configuration mistake. 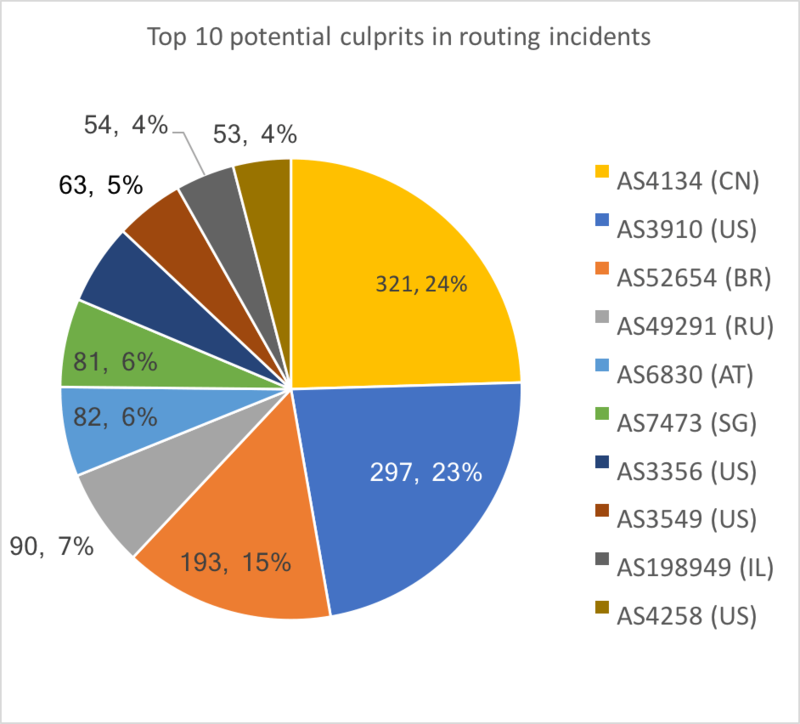 It is interesting to analyze such routing incidents by the roles a network played – whether it was a victim, a culprit, or an accomplice. 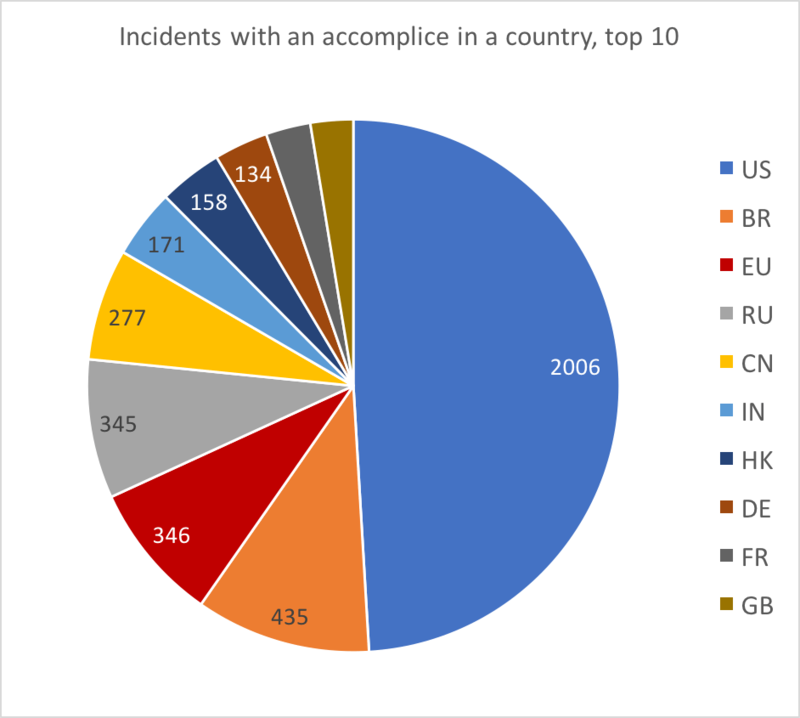 The U.S. ranks first among countries where networks became a victim of an incident, for example when a network’s prefix is hijacked. Last year, that happened 1,193 times in the U.S. It is followed by Brazil (450), India (299), and Russia (242). Unsurprisingly, the majority of the networks victimized by the most incidents are based in the U.S. 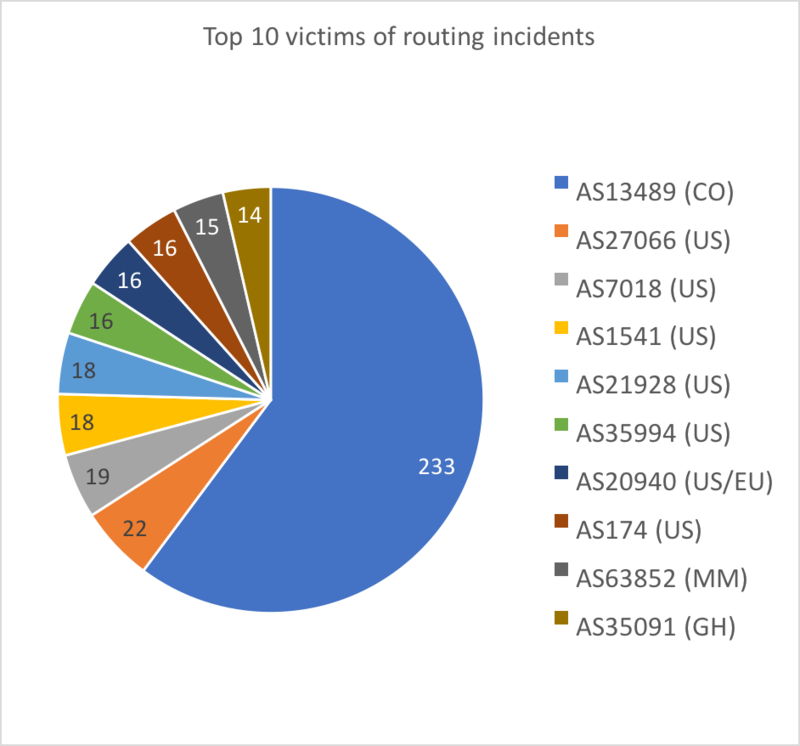 In total 3,106 Autonomous Systems were victims of at least one routing incident in 2017. 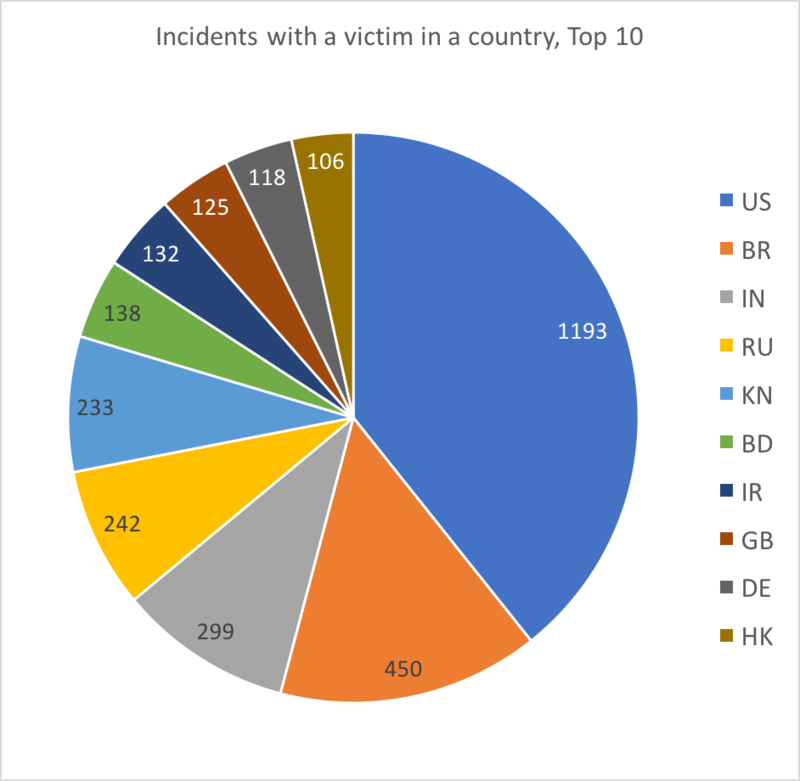 U.S. and Brazil, followed by Russia and China, lead the list of countries in which networks caused incidents. They are responsible for more that 75% of all incidents. Overall, 1,546 networks caused at least one incident during 2017. The ranking is different when it comes to the top 10 guilty networks. An interesting case is AS198949 – SecurityDAM, responsible for 54 incidents, mostly prefix hijacks. This is a security provider, offering DDoS attack mitigation among other services. Most probably these incidents were part of attack mitigation actions. 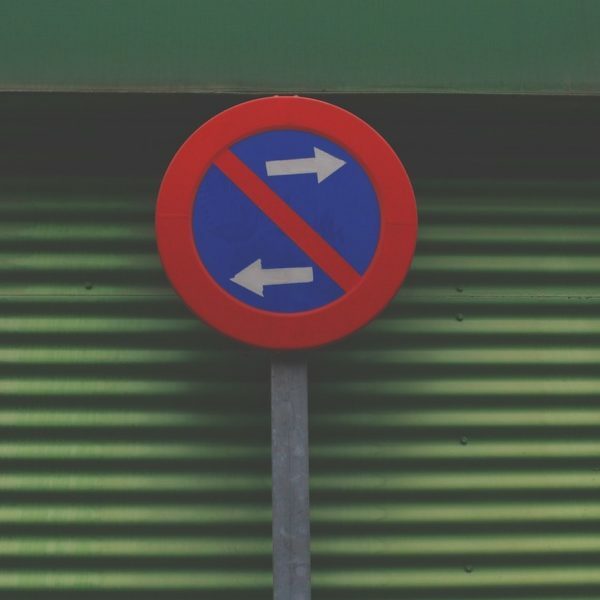 Since the BGPStream only registers suspicious routing changes, without knowing intent in some cases it is impossible to distinguish an attack from a legitimate (or consented) routing change. 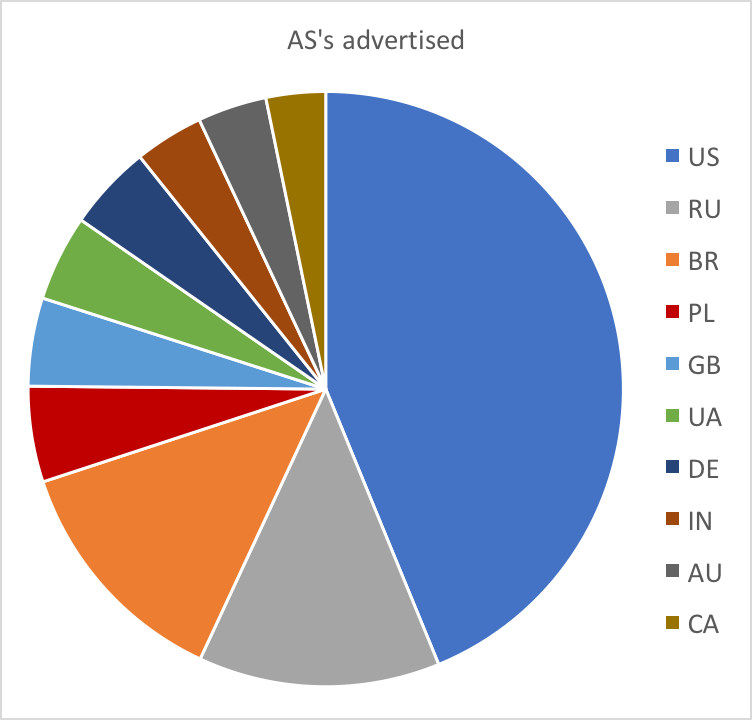 The U.S. also leads the list of countries with networks that could have prevented an attack, but didn’t, such as not filtering false routing announcements from their customers (one of MANRS Actions). The usual suspects – Russia, Brazil, and China – follow. Another point is that it is hard to say whether these numbers are OK, or really bad. Is the system improving or getting worse? The statistics in this report will be a good basis for a trend analysis in years to come. 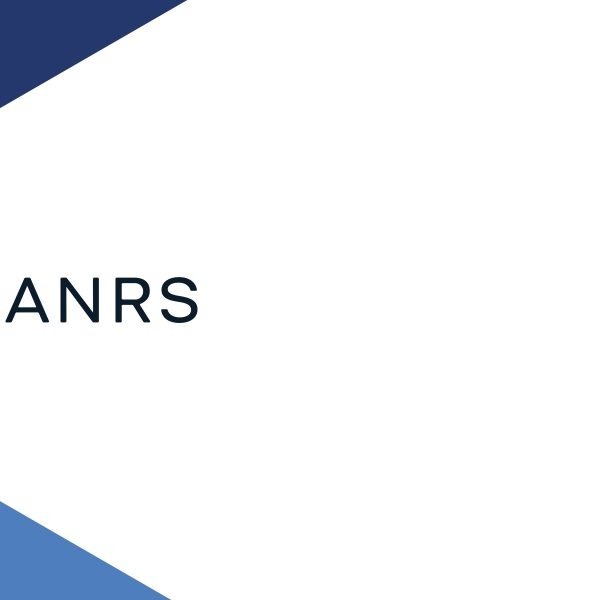 MANRS is a community-driven initiative coordinated by the Internet Society that provides a minimum set of low-cost and low-risk actions that, taken together, can help improve the resilience and security of the routing infrastructure. The more service providers apply these minimum actions, the fewer incidents there will be, and the less damage they can do. Maintaining up-to-date filters for customer announcements could mitigate many route leaks. Preventing address squatting could help ward off things like spam and malware. 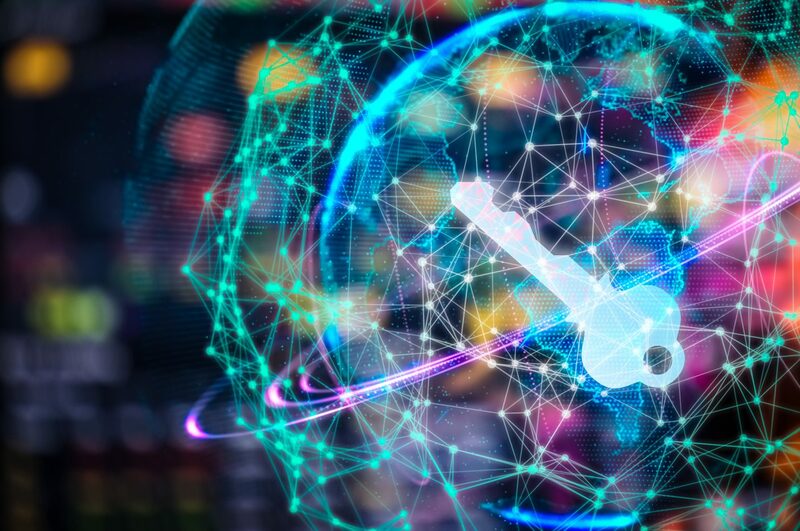 Keeping complete and accurate routing policy data in Internet Routing Registry (IRR) or Resource Public Key Infrastructure (RPKI) repositories is essential for global validation that helps prevent BGP prefix hijacking. Having updated contact information is vital to solving network emergencies quickly. Let us hope we will see more network operators joining MANRS, and improvements in routing security in 2018. Happy New Year! [i] BGPStream is an operational tool that tries to minimize false positives, so this number of total incidents may be on the low side. 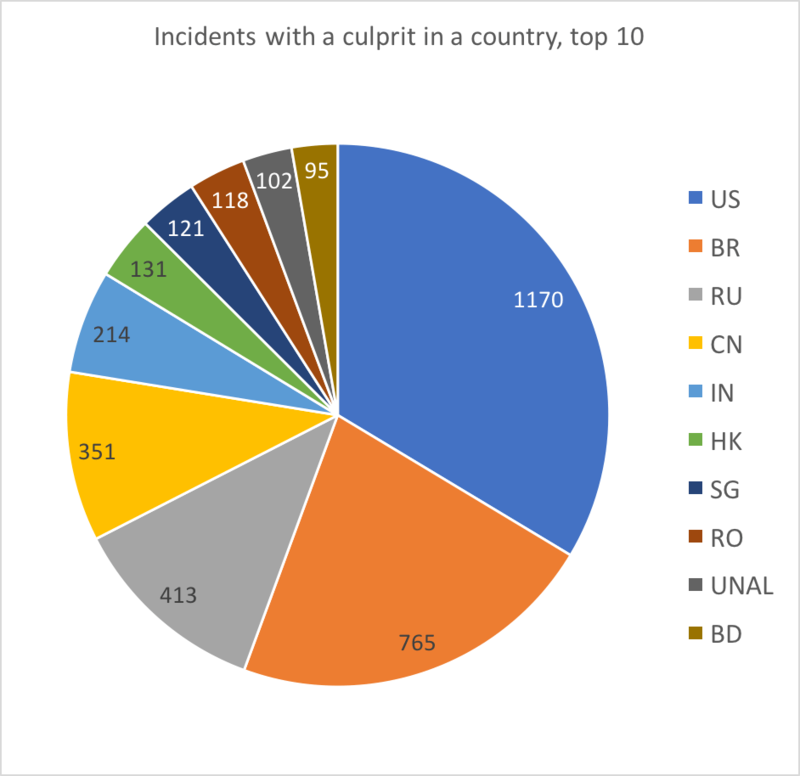 [ii] This is only counting the number of incidents and not factoring in duration or number of prefixes affected, which may indicate the impact of these incidents.